This policy does not apply to the practices of third parties that Horsemanning does not own or control, including but not limited to third party services you access though Horsemanning, or to individuals that Horsemanning does not employ or manage. If you desire to have access to certain restricted sections of the Site, you will be required to become a registered user, and to submit certain personally identifiable information to Horsemanning. This happens in a number of instances, such as when you sign up for the Service, or if you desire to receive marketing materials and information. Personally identifiable information that we may collect in such instances may include your IP address, full user name, password, email address, city, time zone, telephone number, and other information that you decide to provide us with, or that you decide to include in your public profile. Your full user name and your photo, if you decide to upload one, are displayed to people on the Horsemanning Site. Once a member, you may provide additional information in the profile section, including but not limited to your bio, your location, as well as your personal web site, if you have one. Providing additional information beyond what is required at registration is entirely optional. In addition, to trigger certain cookies, we may pass an encrypted or “hashed” (non-human readable) identifier corresponding to your twitter ID to a Web advertising partner, who may place a cookie on your computer. No personally identifiable information is on, or is connected to, those cookies. If you prefer not to receive interest based content and advertisements, or do not wish to enable other services which make use of Horsemanning data, you can always opt-out by clicking here. After you opt-out, Horsemanning will not enable or serve interest-based content and targeted advertisements or enable the other services. Please note that opting-out does not turn off other advertisements. Also, if you change your computer, change your internet browser (e.g. from Internet Explorer to Firefox), or delete all your cookies, you will need to renew your preferences. Many of our web pages also contain special electronic images (called a “single-pixel gif” or “gifs”) that allow us to gather only non-personally identifiable traffic statistics and other aggregate information about visitors to our sites. Horsemanning (through itself or third parties) uses this technology to collect and accumulate anonymous data that helps us understand and analyze the experience of people visiting our web sites and, along with other information you provide, customize your future visits and improve our web sites. Please keep in mind that none of this information is personally identifiable. The Services may include the use of ad banner partners for the serving and/or targeting of ads, promotions, and other marketing messages. These ads may be provided, in some cases, by a third party ad service provider. The ad service provider may place or utilize their own unique cookie on your browser, and may use non-personally identifiable information about your visit to our sites, such as the number of times you have viewed the ad. Horsemanning is not responsible for the collection of these cookies and is not responsible for the actions of the ad service providers. 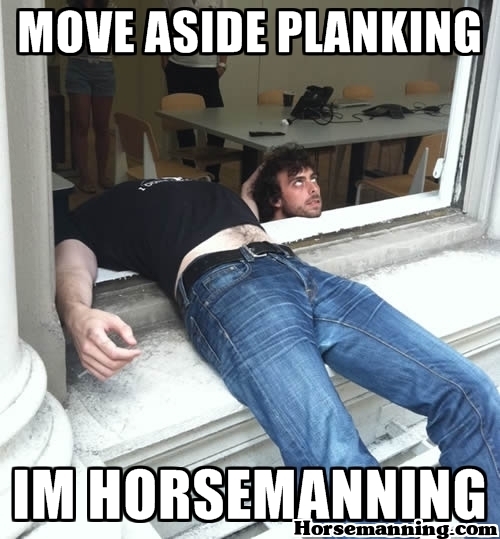 Horsemanning does not sponsor, endorse or guarantee any products or services advertised by third parties on its site. Information about our users is important to our business. We neither rent nor sell your personal information to anyone. We share your personal information only as described below. When you post a pic through Horsemanning, information about you, including user profile information, may be visible to other users. If you post personal information online that is accessible to the public, that information becomes publicly available and can be collected and used by others and redistributed through the internet and other media channels. You may receive unsolicited messages from other parties in return. In some cases, we may choose to buy or sell assets. In these types of transactions, customer information is typically one of the business assets that is transferred. Moreover, if Horsemanning, or substantially all of its assets, were acquired, or in the unlikely event that Horsemanning goes out of business or enters bankruptcy, customer information would be one of the assets that is transferred to or acquired by a third party. You acknowledge that such transfers may occur, and that any acquirer of Horsemanning may continue to use your personal information as set forth in this policy. Horsemanning cooperates with government and law enforcement officials or private parties to enforce and comply with the law. We may disclose any information about you to government or law enforcement officials or private parties as we, in our sole discretion, believe necessary or appropriate to respond to claims, legal process (including subpoenas), to protect the property and rights of Horsemanning or a third party, the safety of the public or any person, to prevent or stop any illegal, unethical, or legally actionable activity, or to comply with the law. If you are not a resident of the United States, you understand and agree that Horsemanning stores and processes your information on computers located in the United States, and by providing any data to Horsemanning, you consent to the transfer of such information to the United States. The fact that we link to a website is not an endorsement, authorization or representation of our affiliation with that third party. We do not exercise control over third party websites. These other websites may place their own cookies or other files on your computer, collect data or solicit personally identifiable information from you. Other sites follow different rules regarding the use or disclosure of the personally identifiable information you submit to them. We encourage you to read the privacy policies or statements of the other websites you visit. The Site is not directed to persons under 13. If a parent or guardian becomes aware that his or her child has provided us with personally identifiable information without their consent, he or she should contact us. We do not knowingly collect personally identifiable information from children under 13. If we become aware that a child under 13 has provided us with personal identifiable Information, we will delete such information from our system.